Kill Shaman Records in Oakland drops a record every now and then when they see fit. 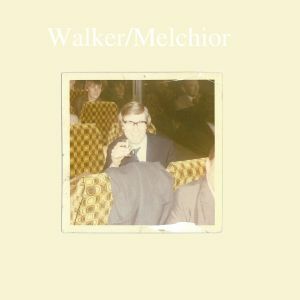 Their most recent, a collaborative 7″ single between two largely prolific artists, Dan Melchior (Dan Melchior und Das Menace, Lloyd Pack) and Russel Walker (Pheromoans, Bomber Jackets, Lloyd Pack). The duo leaves us with two songs, both of which provide the tone of the groggy morning hours but on a bright sunny day with plenty of repetition. “Sad Son In-Law” unfolds with a juxtaposing mix of buzzing sounds and glowing synths, progressively detailed by a string of jewel-toned guitar licks. Snaps, pops and perhaps even a harmonica begin to emerge in the sun-filled loop, guiding Walker’s spoken-word vocals with a wonky bass line. “I Could Sit Here Forever” comes off damaged and broken-down with unpredictable guitar noodling and beams of synth, sounding exceptionally gospel-like and hereby solidifying the fact that these are two positively uplifting songs. BUY the 7″ from Kill Shaman Records – limited to 5-hundo ! 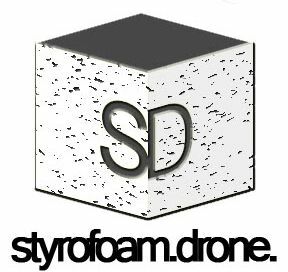 Posted on September 25, 2014 September 25, 2014 by styrofoamdronePosted in 7", ReviewsTagged 2014, Dan Melchior, ethereal, experimental, Kill Shaman Records, Russel Walker, space rock.